‘We have very difficult months ahead of us,’ president warns inflation-hit Argentines, after government seals updated US$57.1-billion deal with financial institution. President Mauricio Macri has warned Argentines they face “very difficult months” ahead, after his government committed to tough austerity measures to meet the terms of an enlarged US$57.1- billion bailout from the International Monetary Fund (IMF). “We have very difficult months ahead of us,” the president declared, arguing that his government’s revamped deal would help his nation to emerge from a severe economic crisis. Argentina’s currency has lost half its value against the dollar in 2018, hurting the purchasing power of millions of ordinary citizens, along with inflation that is forecast to reach over 40 percent by the end of the year. On Friday, the dollar closed the week on 41.90 pesos, continuing to rise after closing Thursday at around 40.40 or 90 cents up on the previous day. But the closing figure still stayed short of the 44 pesos which would justify Central Bank intervention, according to Wednesday’s agreement with the International Monetary Fund (IMF). Yet the pressure is not only on the population. Even with the increased package, Macri’s centre-right Cambiemos (Let’s Change) administration has its back to the wall, with disbursement being linked to his pledge to erase the budget deficit from 2019. Without a majority in Congress, Macri will have to convince a hostile Peronist opposition to adopt his government’s 2019 austerity budget with sweeping spending cuts. This will pose a severe challenge not only to the government’s attempts to work across the aisle, but to the president’s re-election bid, with the next presidential vote scheduled for next year. The revamped agreement with the IMF will allow Argentina “to leave behind the turbulent path of recent months,” Treasury Minister Nicolás Dujovne said on Wednesday as the deal was announced, seated alongside the Fund’s Managing Director Christine Lagarde. These funds “no longer have a precautionary nature but may be fully utilised [as necessary],” the minister added. Lagarde, for her part, told the press that “every effort is being made to stabilise [Argentina’s] economy” and said the loan was designed to help the country “face its challenges” and support the most vulnerable sectors of the population. She said she intended to send the new loan agreement to the IMF’s board for approval “as soon as possible,” addressing the Argentine reporters at the event in Spanish. The IMF and the Macri administration first agreed on a three-year, US$50-billion rescue lending programme back in June, as a currency crisis sent the peso plunging against the dollar. In the wake of continuing economic challenges and the wider global crisis facing emerging markets, the government subsequently requested a more rapid disbursement, as it seeks to restore investor confidence and ease concerns that Argentina will not be able to meet its debt obligations next year. Buenos Aires had already received a US$15-billion disbursement, in the process raising interest rates to 60 percent, but any changes in the programme require the approval of the IMF board. The new deal “front loads IMF financing,” the fund said in a statement, increasing by US$19 billion the amount due to be made available up to the end of 2019. Setting the tone for the battles ahead, Axel Kicillof – former economy minister under Cristina Fernández de Kirchner’s government – called Macri’s austerity measures “a disgrace” and said governors and lawmakers would not vote for it. 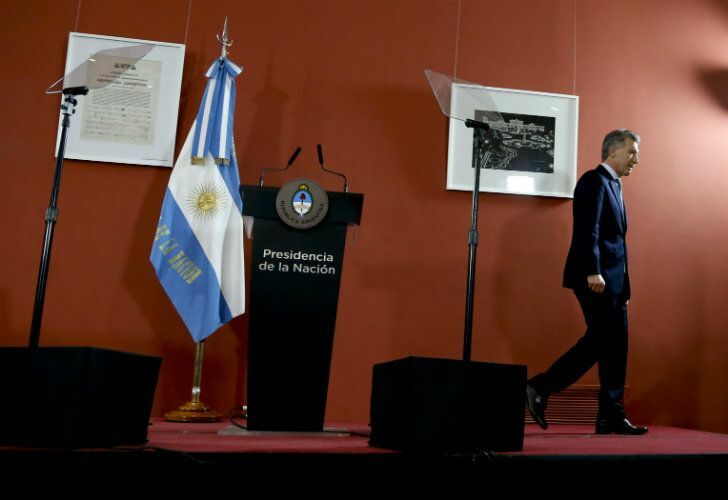 Daniel Artana, chief economist with the Latin American Economic Investigation Foundation, said Macri had inherited a broken economy from Kirchner in 2015 and was heading in the right direction. “Argentina is committed to doing what it needs to do, it’s a steep drop in the budget deficit, but Kirchner’s economic legacy was a ticking bomb,” he said. Many economists agree that the IMF has all but taken the reins of the Argentine economy. “From now until the elections [October, 2019], it’s the IMF who is making the economic policy,” said Miguel Ángel Broda, an economist. Argentina, of course, is a country that’s vulnerable to social upheaval, as witnessed on Tuesday, when a general strike brought the country to a standstill. Unions are up in arms and are demanding the government row back on pension cuts, tax increases, and the closure of factories they say have been par for the course since market-friendly Macri came to power in 2015. Getting to the holy grail of a zero deficit will be a painful process. The primary fiscal deficit was six percent in 2015, 3.9 percent in 2017, and is expected to be 2.7 percent in 2018. Analysts say a key point is that the new funds available would cover Argentina’s US£40 billion of external debt repayments due before the end of 2019, lowering the risk of rolling over the debt. “Argentina is a very vulnerable economy, dependent on commodities and also commodities that are affected by the climate,” like grain and cereals. Aggravating the crisis was the drought, which decimated soybean exports. The government has learned that a “painful” recession lies ahead and recovery still seems far off for the region’s thirdlargest economy. Industrial output saw its third consecutive monthly decline in July, down 5.7 percent, and further disappointing data is expected for August and September. The government estimates the economy will contract by two percent this year. Growth estimates have been slashed too, with a paltry 0.5 percent forecast for next year. The government’s 2019 Budget proposal sees inflation coming in at 23 percent for 2019, with an average exchange rate of 40.1 pesos per US dollar. Analysts say the first challenge is to stabilise the markets and boost economic output. 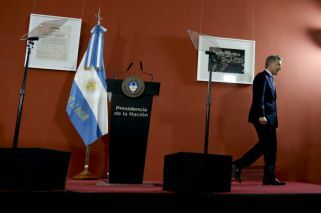 The renegotiated IMF deal is designed to ease concerns over Argentina’s loan financing needs and currency fluctuations. However, “the next few months will be economically challenging for Argentina even if the deal accomplishes these goals,” said Daniel Kerner, Latin America specialist at Eurasia Group. – US$13.4 billion to be remitted in the remainder of this year (up from US$5.8 billion), US$22.8 billion in the next (up from US$11.7 billion) with US$5.8 billion remaining for both 2020 and 2021, thus adding US$7.1 billion to the US$50 billion from the initial June deal. – The use of these accelerated tranches is to be at the disposal of the Ecnnomy Ministry. – Inflation-targeting to be replaced by a system holding the expansion of the money supply down to zero until next June via interest rates, statutory reserve requirements and the new currency float. – This currency float places the dollar within a 34-44-peso range, which is to rise three percent monthly until the end of the year when it will be reviewed, with Central Bank intervention only permitted beyond this range. – Peso liquidity is to be absorbed via a new daily Leliq bond with fluctuating interest rates. – The zero deficit contained in the 2019 draft budget is confirmed with a fiscal surplus of one percent of Gross Domestic Product in 2020.